(CNN) - Freshman Democratic Rep. Alexandria Ocasio-Cortez, who frequently captures national attention with her social media posts, gave her Democratic colleagues in the House of Representatives a little lesson: how to use Twitter in a more effective way. Ocasio-Cortez led the discussion along with fellow Democrat, Rep. Jim Himes of Connecticut, on Thursday to "discuss how they use Twitter as an effective and authentic messaging tool to connect with their constituents" and "the importance of digital storytelling," according to a notice sent to Democratic House members obtained by CNN. "Class was in session this morning! I was thrilled to offer some insights on Twitter and social media to my. colleagues this morning," Ocasio-Cortez tweeted Thursday morning. The progressive freshman Democrat representing New York's 14th District has risen to become one of the most high-profile Democrats in the House. The 29-year-old congresswoman has 2.4 million followers on her campaign Twitter account, surpassing House Speaker Nancy Pelosi's 2 million followers on her official account. She frequently hits back at critics on the platform and goes viral. Earlier this month a video of Ocasio-Cortez gleefully dancing when she was in college surfaced on Twitter, where the poster of the clip described the congresswoman as a "clueless nitwit." Ocasio-Cortez shot back at critics by posting a video on Twitter of her dancing in front of her congressional office with the caption, "I hear the GOP thinks women dancing are scandalous. Wait till they find out Congresswomen dance too!" The video has garnered 20.5 million views. The congresswoman also uses social media to speak directly to constituents and viewers in a way members of Congress have rarely done before. She frequently hosts "Instagram Live" sessions where she answers questions submitted by viewers on the platform. One of Ocasio-Cortez's Instagram accounts has amassed 1.8 million followers. The congresswoman also gave her viewers a behind-the-scenes look at congressional orientation on Instagram. 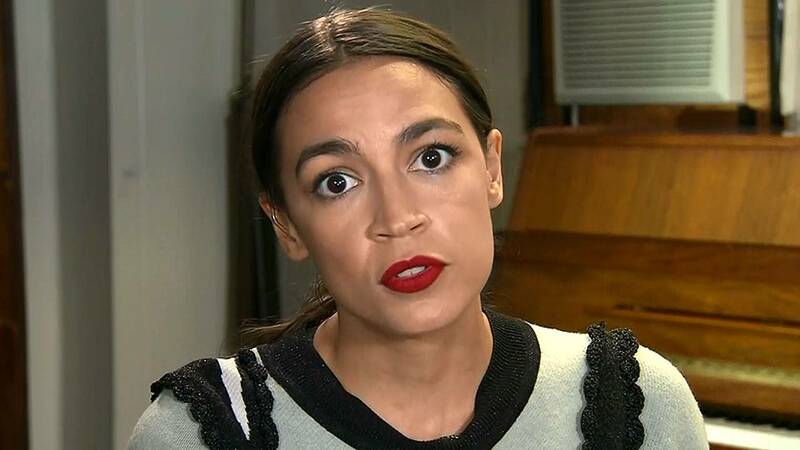 The freshman Democrat took office in January after running an efficient grassroots campaign in the Democratic primary where she unseated former Rep. Joe Crowley, who was the fourth-ranking Democrat in the House and a 10-term congressman in New York. The notice of the scheduled Twitter training was sent out by the chair of the House Democratic Policy & Communications Committee, Rep. David Cicilline, and the committee co-chairs, Rep. Matt Cartwright, Rep. Debbie Dingell and Rep. Ted Lieu. Representatives from Twitter will also be present at the meeting to answer questions and discuss resources for representatives and staff, according to the notice. A Twitter spokesperson said in a statement to CNN that the company hosts trainings with member of Congress and staff "on both sides of the aisle, to ensure legislators are able to leverage the power of Twitter to amplify their message and communicate directly with their constituents." Representatives from the Franking Office will also be in attendance to "cover the difference between official and non-official accounts and what your office can/cannot post on each account," the notice reads. This post has been updated with additional developments Wednesday.